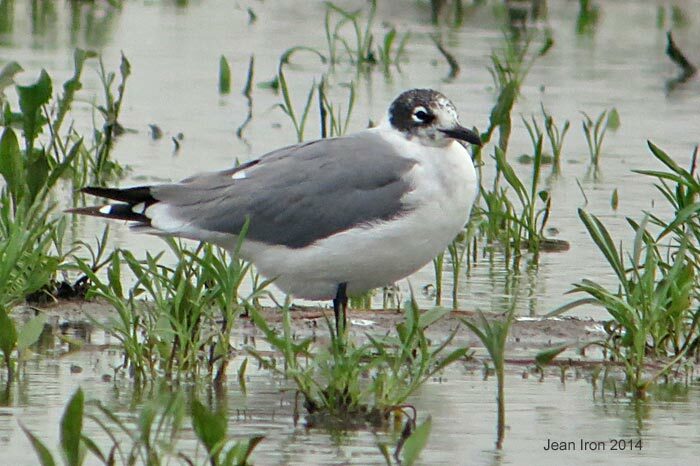 This Franklin's Gull in first summer plumage was at Hillman Marsh Shorebird Cell on 14 May 2014. Note its huge white eye crescents, incomplete black hood and several large white primary tips. Its mantle shade is darker than Bonaparte's Gull. This bird hatched last year and is almost one year old.